Are you a Nigerian that knows how to drive very well? 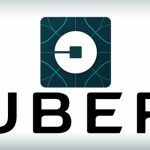 Do you want to become an Uber Driver and also earn good money while drving? 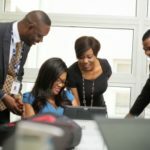 The Apply for a Job team is happy to bring you this 2019 Uber Nigeria recruitment for Drivers. This is certainly the opportunity that Drivers who have been wanting to Apply for Uber Driver Jobs in Nigeria has been waiting for. 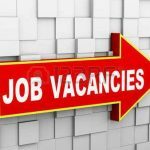 Kindly continue reading, in order to see the Uber Driver Jobs, Uber Nigeria car requirements and more. Any Driver that wants to join the Uber Drivers team by Applying for a Job at Uber must have acquired a valid Driver’s license, which is normally issued to qualified and certified Drivers in Nigeria and other parts of the World. You must be up to 21 years old and equally, pass through the Safety Screening. Any Individual who wants to register as an Uber Driver must possess a car that was not produced before the year 2000. The car must have a minimum of four doors with no form of machine or cosmetic issues. Before Applying for Uber Driver Job, make sure the radio of your car is working perfectly. Those that are about to Apply for Uber Driver Jobs through this current Uber Nigeria recruitment 2019/2020, should make sure they insure their cars and also own roadworthiness credentials. Potential Uber Drivers must not present trucks, taxi cabs, Government cars or other marked vehicles to the Uber Nigeria recruitment team. According to the information we gathered from current Uber Drivers in Nigeria, an Uber Driver makes from N15,000 to N20,000 daily, this means that each Driver makes between N100,000 to N120,000 in one week.